These rich navy Pons sandals are perfect for pairing with outfits throughout the seasons on boys and girls alike! 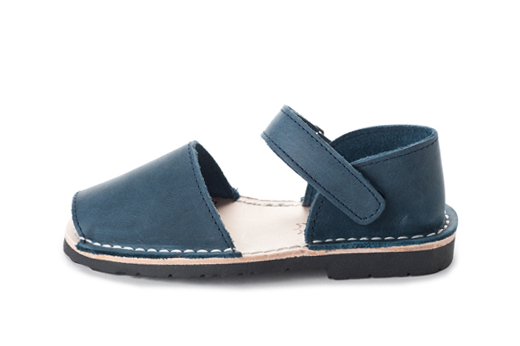 Our Frailera Pons Avarcas for kids in French Blue are handmade in Menorca with the finest all natural leather. With an adjustable velcro ankle strap and lightweight rubber sole, these kids Avarcas will provide more stability for all your child's adventures.